A night of disappointment when the band she went to see was cancelled, became a night of surprise for Samantha, 17, when she got to see Los Abandoned. Charlene, 14, says that the third installment of the superhero sage was BORING. But Nattalie, 16, counters that with its web of villains the latest Spider-Man is a thrilling ride. To add a touch of class and elegance to date night, check out The Inn of the Seventh Ray in Topanga. Tanya, 17, says that other than an amazing set by Saosin, the Taste of Chaos festival was a let down. 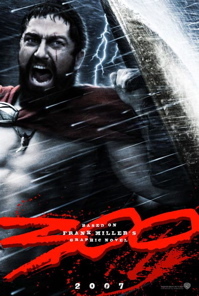 If you love your historical war movies with amazing visual effects, non-stop action and killer music, then you have to see 300, says Nattalie, 16. Even though the new drama October Road on ABC demonstrates that maybe you shouldn’t go home again, Charlene, 14, says that she’ll still watch. Our readers tell us what they thought of the stories in the January – February issue of L.A. Youth. On the four-year anniversary of the invasion, we asked teens around Los Angeles to share their feelings on how the government has handled the war, recruiters on campus and sending 20,000 additional troops. Just because blacks use it a lot, it doesn’t mean we should, says Trayvione, 17. WITH interviews. Fred, 17, says that he’s glad his school didn’t make a big deal when a student was caught bringing a BB gun on the Birmingham High School campus, because it prevented anyone from panicking. From fatigue to hunger to time limits, Mindy, 17, tells what it was like to take the test. As the fire threatened classic Los Angeles landmarks like the newly renovated observatory and the Greek Theatre, it made Nadine, 17, appreciate her Los Angeles home even more. “We Spartans have descended from Hercules himself. Taught never to retreat, never to surrender. Taught that death in the battlefield is the greatest glory he could achieve in his life. Spartans: the finest soldiers the world has ever known,” shouted King Leonidas to his troop of 300 soldiers. When you hear that quote, what comes to mind is a powerful army, full of pride and honor, out to kick some major booty. 300 is just that. Add an amazing soundtrack and astonishing visual effects to the equation and you get an action-packed film at its best. The movie starts off with a young Leonidas being taken away from his mother because the members of the counsel believed that he was a descendent of Hercules and had a lot of potential as a warrior. He was trained to be the best warrior, the strongest, and the smartest. He was a Spartan. Fast forward 30 years to Leonidas and an army of 300 Spartans ready to set out to win the war against the invading Persians. The Persians outnumbered the Spartans by hundreds of thousands. The counsel was against going to war with the Persians but Leonidas chose to set out, even though he only had 300 warriors. The Spartans had an advantage that the Persians did not. They hid under dead bodies and had a simple, yet effective defense system, which was using their iron shields. And they had an army with so much passion that nothing would stop them. The Spartans were more in shape than the Persians, a definite bonus. Their bodies looked hard as a rock. They looked like they could crush their scrawny opponents with their pinkies. I can’t imagine how intensely these actors must have trained to get a body similar to that of Michelangelo’s David. I wouldn’t recommend this movie for those who want to see an accurate telling of the events or a sad, weepy war story, because this is neither. Not even close. The movie is based on Frank Miller’s graphic novel. If you are familiar with Miller’s works (Sin City) you know that the guy is a genius and has a beautiful way of showing what goes on in that amazing mind of his, and you’ll go into the movie knowing that there are going to be disadvantaged and disfigured humans that resemble mutants. It adds more excitement, but takes away from the actual historical event, the battle of Thermopylae. The story was easier to follow than most historic movies nowadays, but still, there were times during the film when I had to ask my friends what was going on and I got a shrug in return. The cinematography makes up for the hard-to-follow plot, for every second of it is another example of how miraculous modern day moviemaking has become. Each scene was filled with color and mesmerizing special effects, whether it was the glowing yellow eyes of a tiger or a thousand soldiers piled up on one another, dead, which reminded me of grim Renaissance paintings. The visual effects are unrealistic, but that’s what makes the movie so fun to watch. It stretches your imagination and leaves you in awe. One thing you should expect is the amount of gore. If your stomach can handle seeing heads being chopped off, arrows going through eyes and animals being killed in the process of fighting, then you have nothing to worry about. I didn’t have a problem with the gore, but for many people the movie might be a little too bloody to sit through. It has one of the best soundtracks I have ever heard. Heavy orchestral music kicked in at the right scenes and set the mood perfectly. Azam Ali, who did vocals over the orchestra, has a haunting voice that added that extra bit of intensity that the score needed. The movie is beautiful, intense and a visual overload. Intense and epic would definitely sum it up.